No matter what industry your company is in, your advertisements need to fulfill three key factors to go from just okay to amazing. 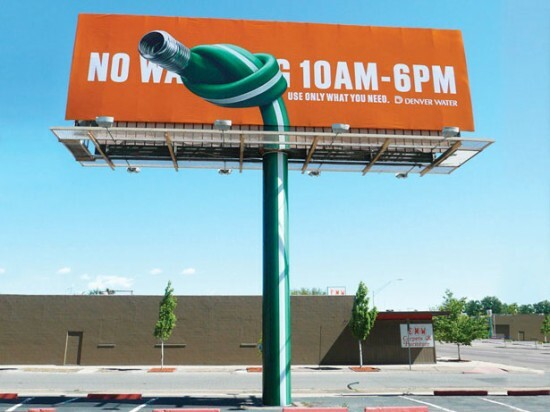 The perfect ad campaign not only delivers a message but it should leave a lasting impression which in return, helps to grow brand recognition. The points below can be used as a checklist when creating your next ad campaign with funny or creative advertisements. 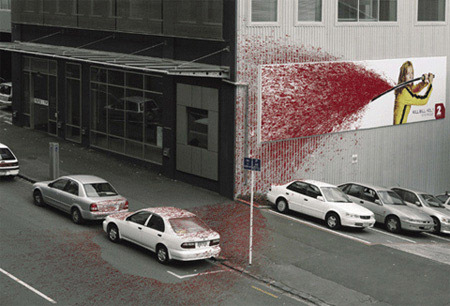 Consider the environment in which your ad will be placed. 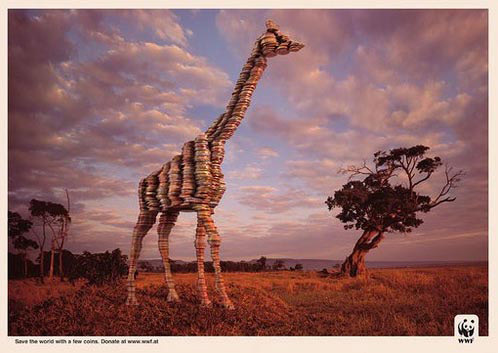 Utilizing the surrounding area gives the ad a sense of purpose and cleverness, all while delivering the message. Wolf Hot Sauce placed an advertisement on the restroom hand dryer. Environment is the key component here. It uses its surroundings to help deliver the message that their hot sauce is hot, so hot that you can feel it! 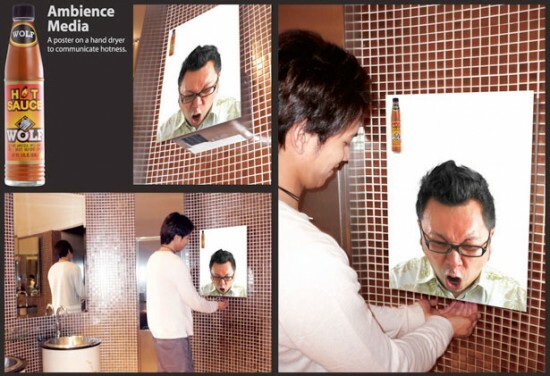 Who would have thought to place a hot sauce ad in a public restroom? But in reality, a viewer will actually spend more time with the ad placed in the restroom than they would have if it were on a billboard. The key point in this case – one simply doesn’t have as much time while walking or driving by in comparison to the time spent in a restroom. This is not to say that billboards aren’t good forms of marketing, you just need to be able to asses when it’s best to use which forms of advertising. 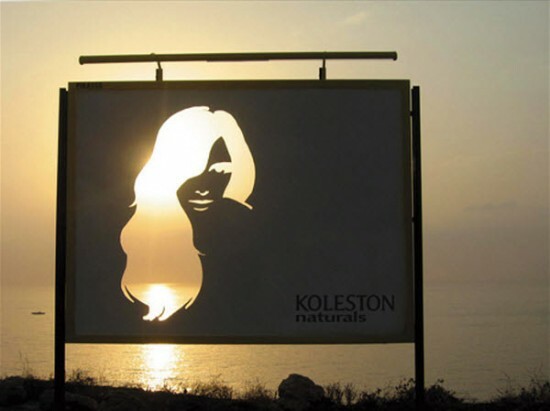 Below are a few clever billboards that also utilize their surroundings in a clever manner. 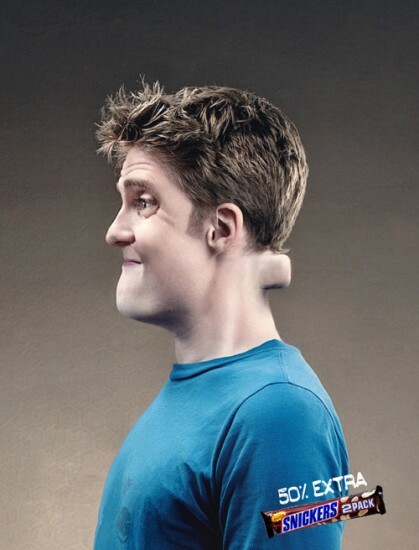 Getting your advertisement to be viewed even once may be tricky at times, but what does it take to get double-takes and possibly even stares? 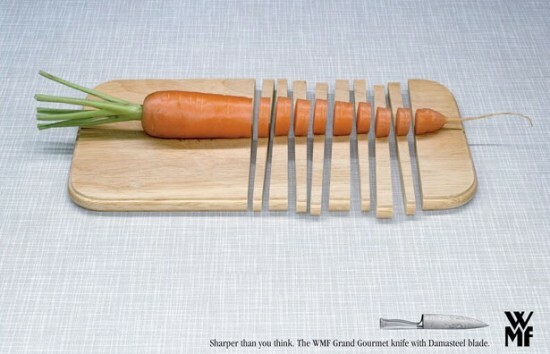 Marketing materials that play with puns, satire, and creating objects from other objects have the best chance at this. 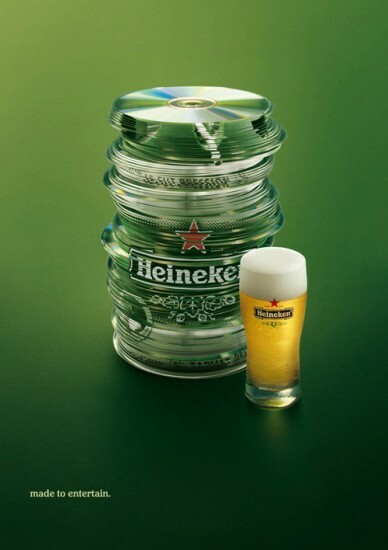 Take the Heineken ad below for example – at a quick glance, it may just seem like a regular bottle of beer, however a closer look will reveal that the “beer can” is actually made up of a stack of CDs. How does this relate to Heineken you may ask? This dives right into their message: made to entertain. A few more ads below with a secondary story. 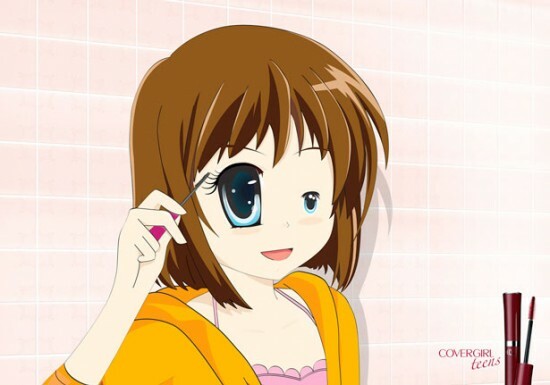 Cover Girl mascara brightens your eyes for a more dramatic look. 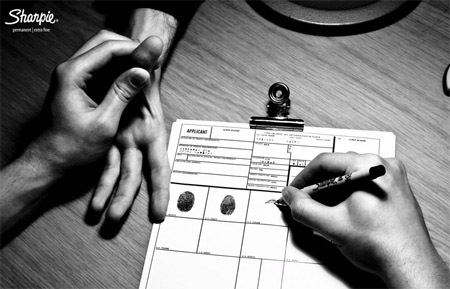 The advertisements below provide additional examples of quickly delivered messages. If you need help coming up with a creative campaign, contact us or give us a call at 626.400.4511 to get started!